Create stylish tabbed interfaces for your site. Tired of the same old looking web site? Need to organize it but don't have the time to work on all that HTML code? 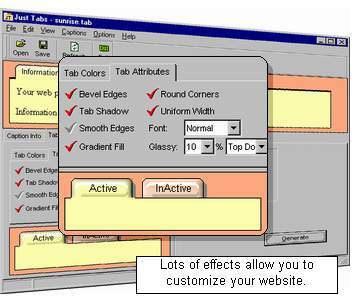 Introducing the most powerful new tool on the web for creating custom tabbed interfaces....Just Tabs! 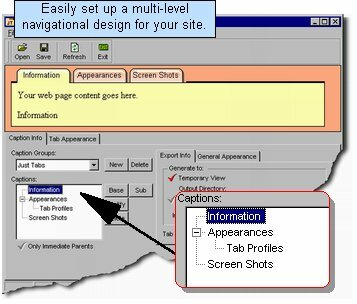 You can vastly enhance your web site's appearance and make it easy for your customers to find important areas of your site !